Naughty Dog has had a huge amount of success with the Uncharted franchise; every game is an improvement over the previous one. 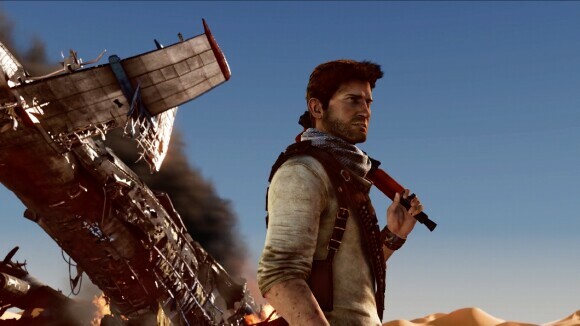 The Nathan Drake Collection for the PS4 is the ultimate Uncharted fan service and it is damn near perfect. Bluepoint has clearly taken note of this and delivered a perfect port of all three games. If you haven't played any of the Uncharted games then shame on you. However, past that point I'll do a quick rundown of what's in store regarding story. In the first Uncharted, Nathan Drake is on the search for El Dorado with the help of his friend Victor Sullivan and journalist Elena Fisher. As the beginning of a series it's a solid start and when it first debuted I would most likely have called it one of the best games in the PS3 generation. The problem is that Uncharted, when put in comparison with the other two games, really shows its age. The cover system is great but it's the cover shooting system that is complete rubbish (again in comparison). 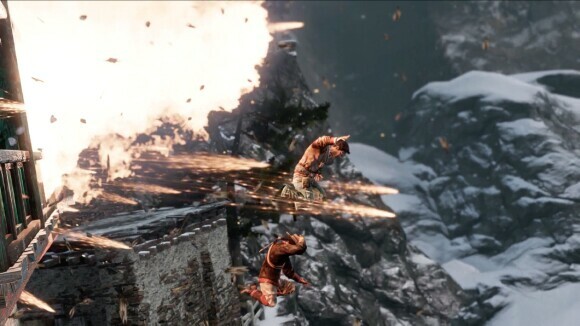 Uncharted 2: Among Thieves finds Drake in a new struggle, this time looking for the lost city of Shambala while at the same time stopping a power mad villain called Zoran Lazarevic. 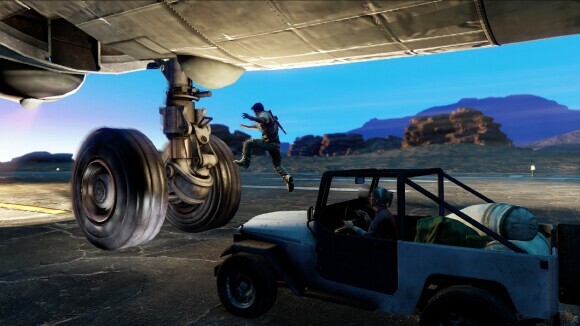 Sully and Elena come back for the ride but newcomers Chloe Frazer and Harry Flynn tag along. Plenty of twists and turns abound in UC2 regarding plot and character development. It is arguably the best in the series and, at the same time, I found its “Crushing” difficulty setting to be the easiest one of the three. 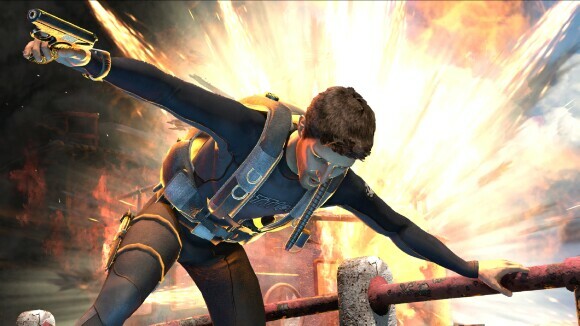 Uncharted 3: Drake's Deception is the third act in this grand series. It was, at its time, the peak of gameplay, AI, and performance in the era of the PlayStation 3. Nathan and Sullivan find themselves in a web of deceit, no pun intended, with a group similar to that of the Illuminati. Headed by a woman known as Katherine Marlow, an ex-lover of Sullivan, Drake and group traverse the world in order to beat Marlow and her cronies to the "Atlantis of the Sands". I’ve played all three games on "Crushing" difficulty and UC3 is by far, the most frustrating game out of all three. The enemy AI, unlike in UC1 or UC2, moves around and out of cover and will gladly flank your position if you're hiding for too long. The stories may play out differently across all three games but the flow of plots is similar. Drake has a great treasure he's determined to find, usually connected to his ancestor Sir Francis Drake. Bad guy wants the same treasure and will stop at nothing to get Drake out of the picture. Supernatural events unfold. Drake saves the world - Every single game. It's a predictable story yet quite an enjoyable ride, but I've never noticed it until I played all three games back to back. Finally, Bluepoint has included a speed run mode, a new difficulty setting called Brutal (but you can only unlock that mode once you beat crushing) and a slew of new trophies in addition to the original trophy list for each game. 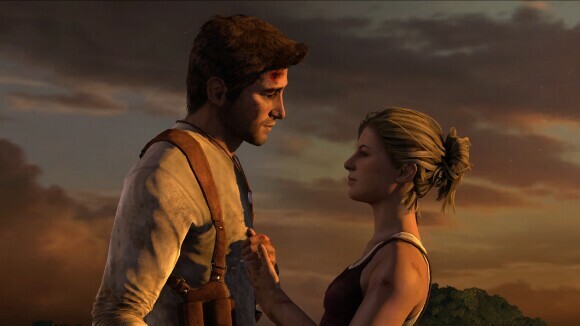 The Nathan Drake Collection is a great way to reminisce on what is considered the best of the best on PS3. My one and only complaint is that I couldn't play the wonderful multiplayer again. Bluepoint Games has shown in the past that it has the ability to do great work with remasters and the Nathan Drake Collection is another notch in its belt. 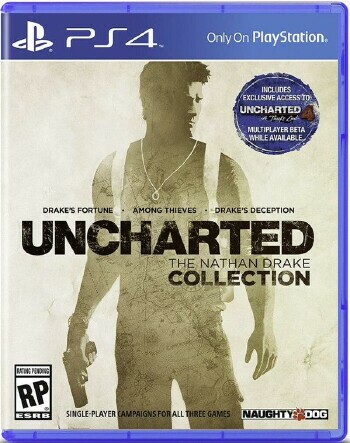 If you've never played one or more of the Uncharted games or if you're a fan of the series looking for a trip down memory lane then The Nathan Drake Collection is a worthy purchase. 4 out of 5 TOV stars. The Bad: Crushing can be "crushing"